If you watch any amount of golf on TV, you have undoubtedly seen the spread of counterbalanced putters among the professional ranks. 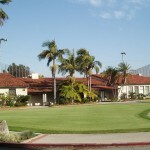 These are putters which feature weighting at the end of the grip to even out the stroke as it moves back and through. Often, players will hold onto the grip several inches down from the top so they can utilize that weight effectively. While plenty of golfers still putt well using a ‘traditional’ putter, the counterbalanced movement has more than its share of believers. 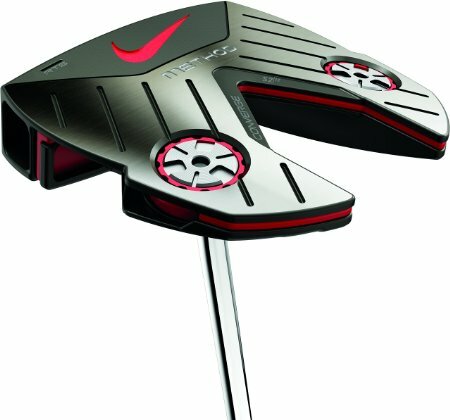 The NIKE Method Converge is a putter that falls into the counterbalanced category. This review covers the Converge Bend Counterflex model, which has a large mallet head and a heel shafted orientation. If you are looking for a large putter head to iron out the inconsistencies in your stroke, this is a model to watch closely. The perimeter weighting of the putter should help to stabilize any hits that are slightly off-center, and the RZN groove insert will help you get the ball rolling quickly. 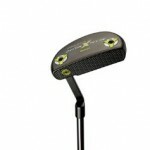 One of the many positive attributes of this putter is the competitive price point at which it is offered. With a retail price often around $240, it is less expensive than some of the other large, counterbalanced putters on the market. Considering the size of the mallet head featured in this putter, and the long grip with weighting that is included, it would be easy to see this club selling for a higher price. Getting the ball rolling as quickly as possible is one of the most important attributes of a good putter, and those who use the Method Converge Bend Counterflex should have no trouble with that point. This putter has been designed to get the ball rolling nicely, and its size and design should help you align yourself correctly over the ball as well. For those looking for a putter with a large head and a counterbalanced design, this is a model that certainly requires a closer look.